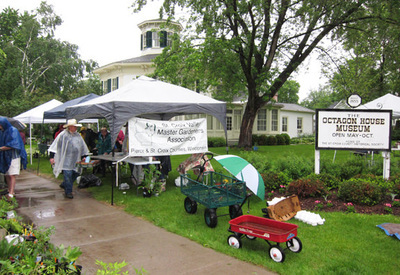 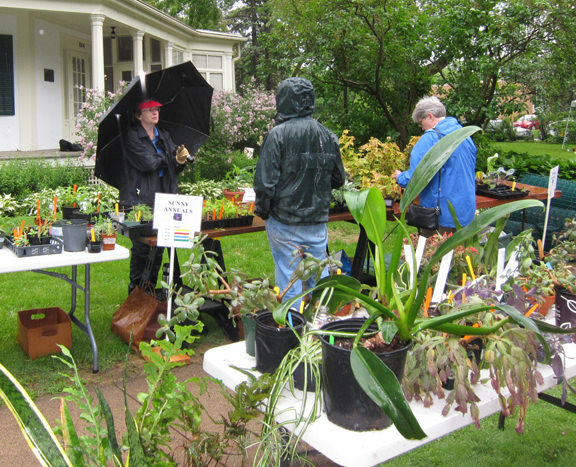 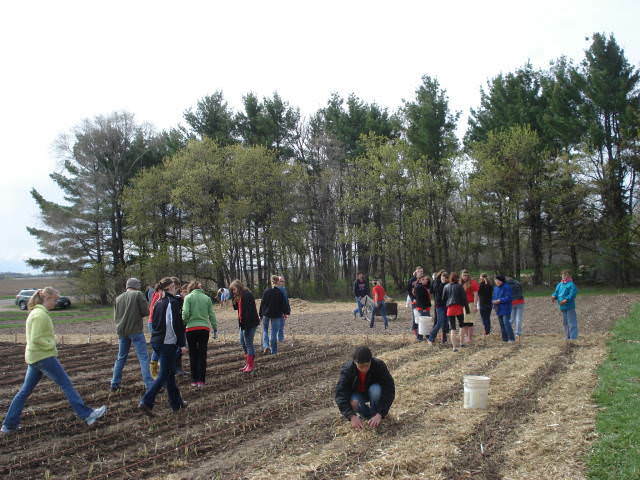 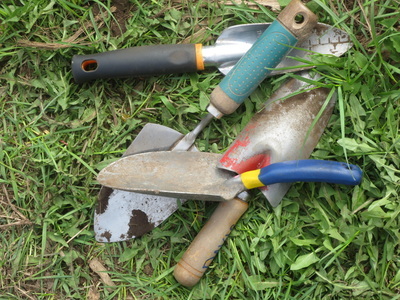 On Saturday June 7th, the many volunteers involved with the St. Croix Valley Master Gardeners Association hosted their 10th Annual Master Gardener Plant Sale at the Octagon House in Hudson. 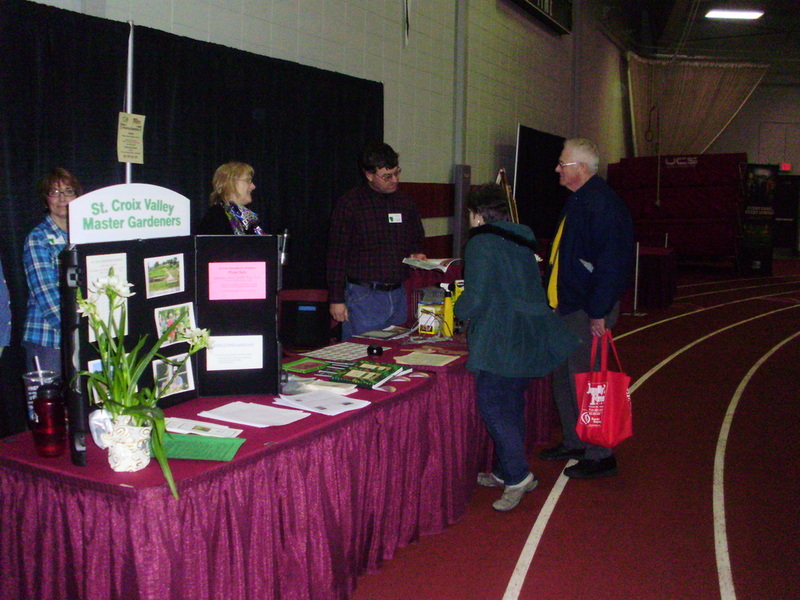 This event is the single largest fundraiser for the organization, which uses proceeds from the sale to fund community grants supporting school gardens, food source gardens, elder care garden projects and many other initiatives, connecting people to gardens, throughout Pierce and St. Croix Counties. 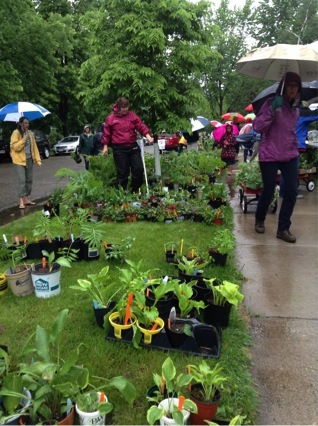 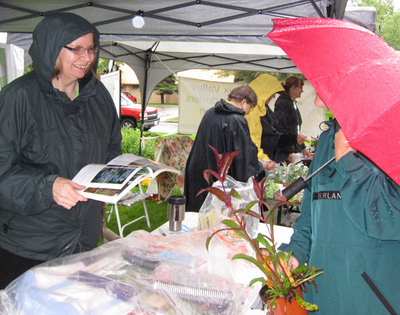 Despite a steady downpour, those who wait all year for the Master Gardener Plant Sale showed up in droves. 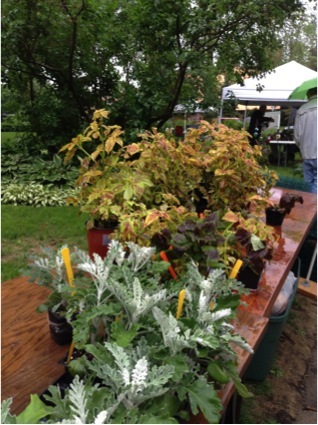 And many first time customers went home with plants as well. 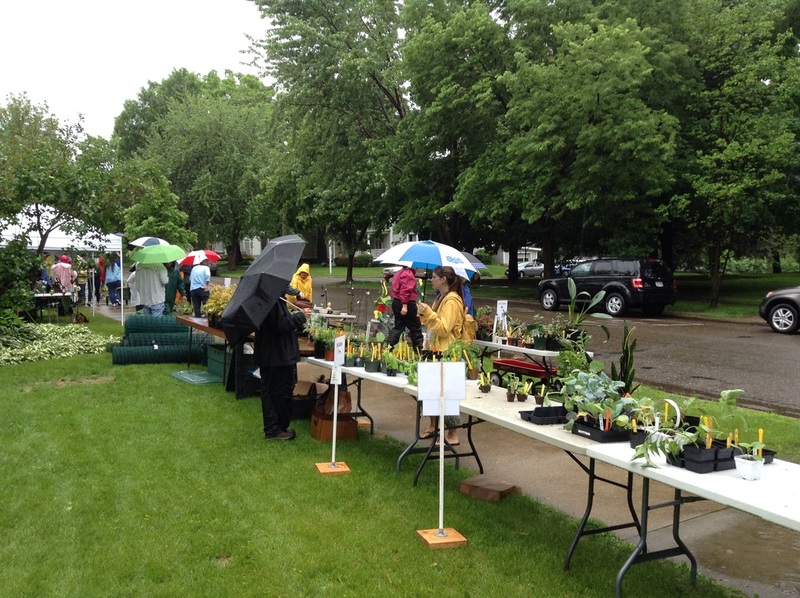 It was a soggy but successful sale. 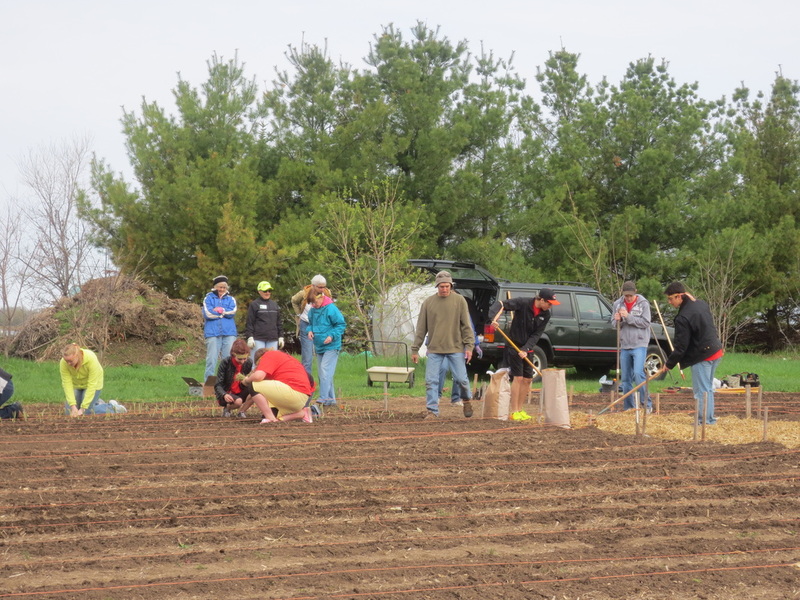 Over $3,100 was raised for the SCVMGA Grant Program. A special Thank You! 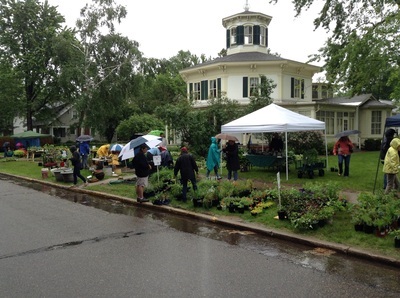 goes out to all the organizers and volunteers who did not let a challenging weather day dampen success. 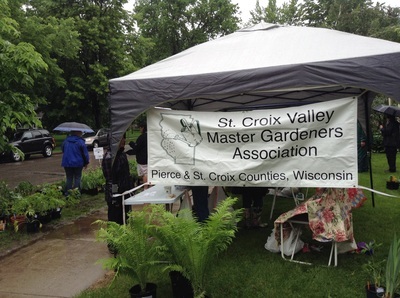 So many committed Master Gardener volunteers come together, turning a blustery wet Saturday into a successful fundraising day for SCVMGA! 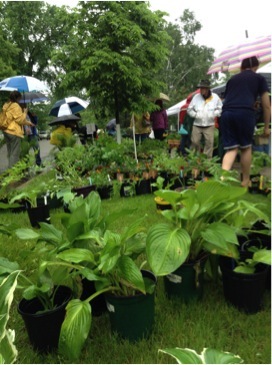 A good year for Hosta. 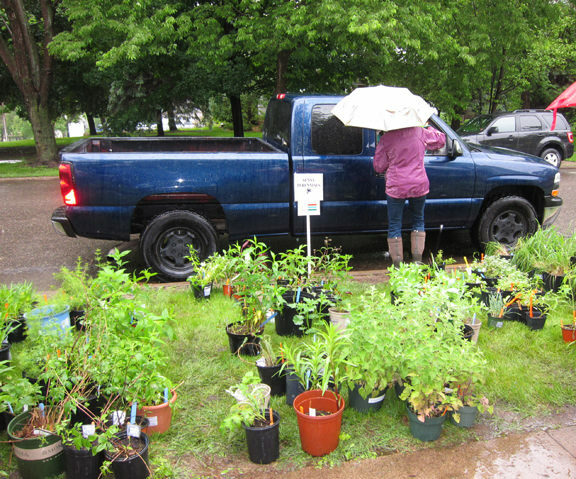 Drive-thru service was a good option on the rainy day. 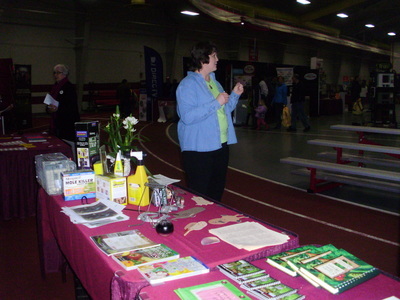 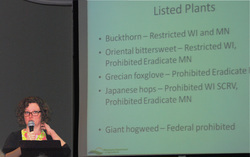 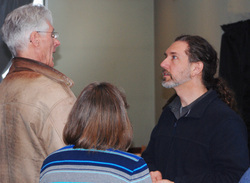 Peg Wastell, New Richmond, coordinator of plant trials, answers a customer's question. 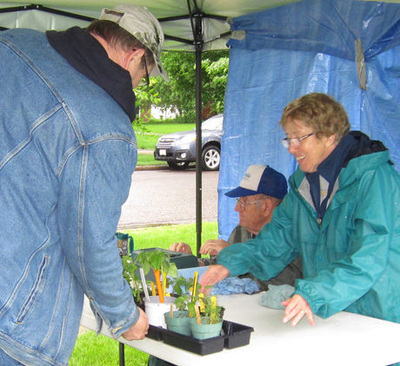 Renee Clark, Somerset, helped customers with herb plants. 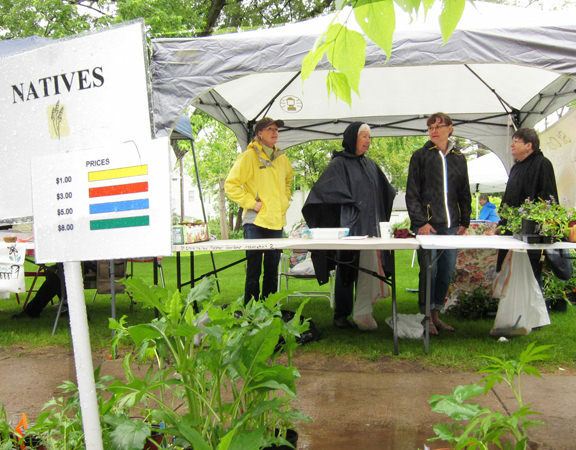 Ron Zirbel, River Falls, and Sue Klatt, Houlton, worked at one of the two cashier booths. 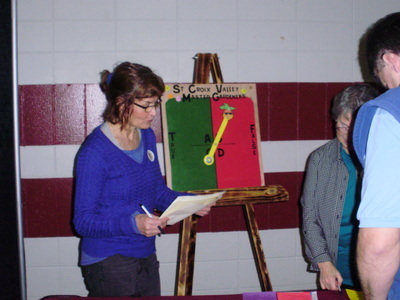 Guided by outgoing webmaster and computer guru Lisa Dembouski, members got a hands-on tutorial on navigating the SCVMGA website. 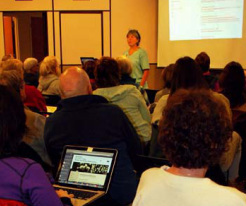 Many members brought laptops, tablets, or smart phones to follow along. Lisa introduced new webmaster Ellen Montgomery. 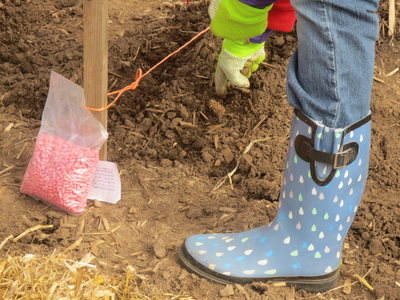 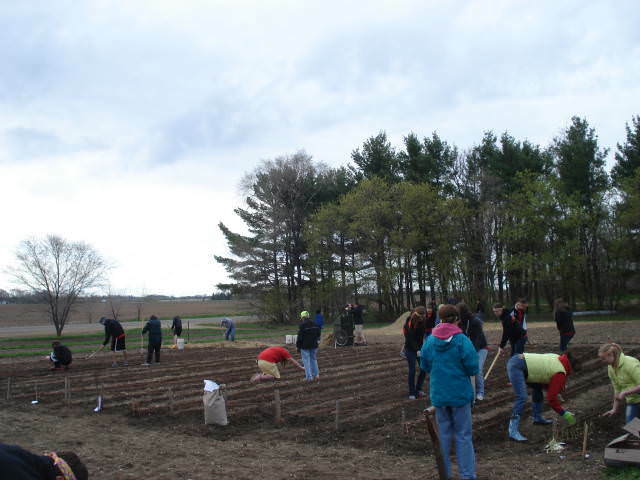 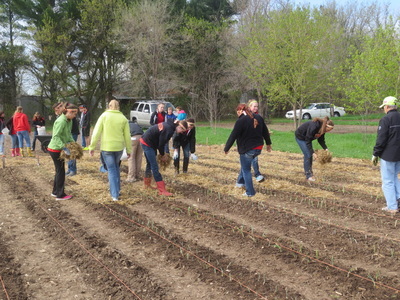 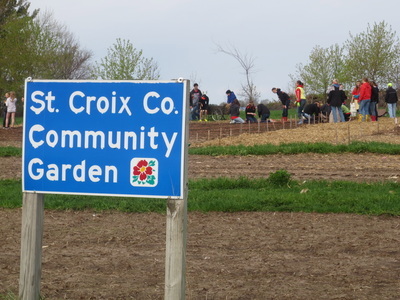 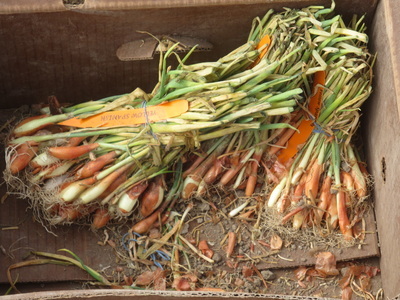 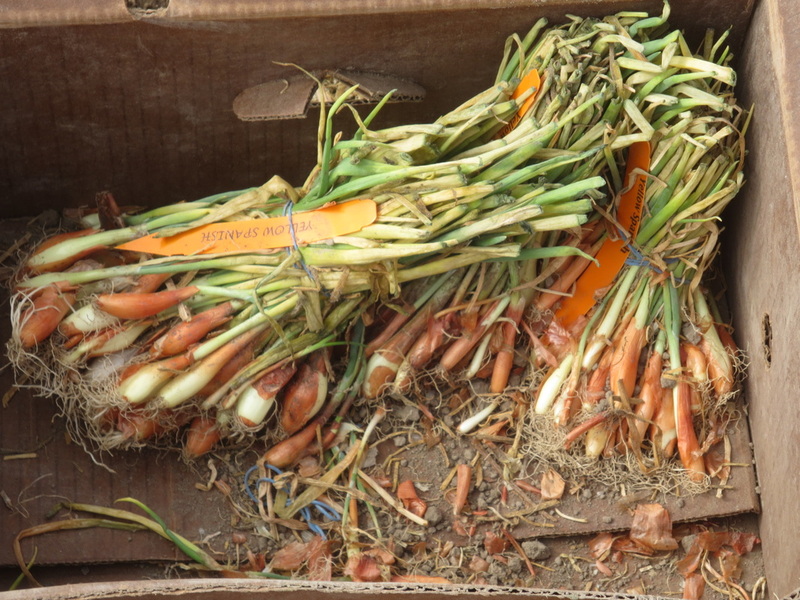 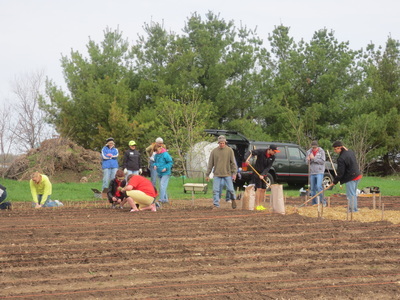 Each year, SCVMGA awards up to $4,000 for projects contributing to horticultural education, beautification & improvement of parks and community spaces, dissemination of horticulture information, human services such as growing food for local food shelves, and environmental stewardship such as prairie restoration. This year SVCMGA awarded 11 grants to 10 area residents. Here are the 2014 Grant Recipients: (From left): Phyllis Jaworski, grant committee; Dianne Wright, grant committee coordinator; Julie Hawley, Glenwood Community Garden project; Zeke Schwarz, tree planting at Bridge House in Hudson; Debby Walters, Giezendanner School Forest in Baldwin-Woodville; Karen Jilek, Hudson Hospital and Clinic seed trial; Anita Voiles, Botany Belles and Beaus Garden club in Hammond; Lizzie Schousek, butterfly garden at Houlton Elementary; and Sandy Madsen, rain garden at Houlton Elementary. 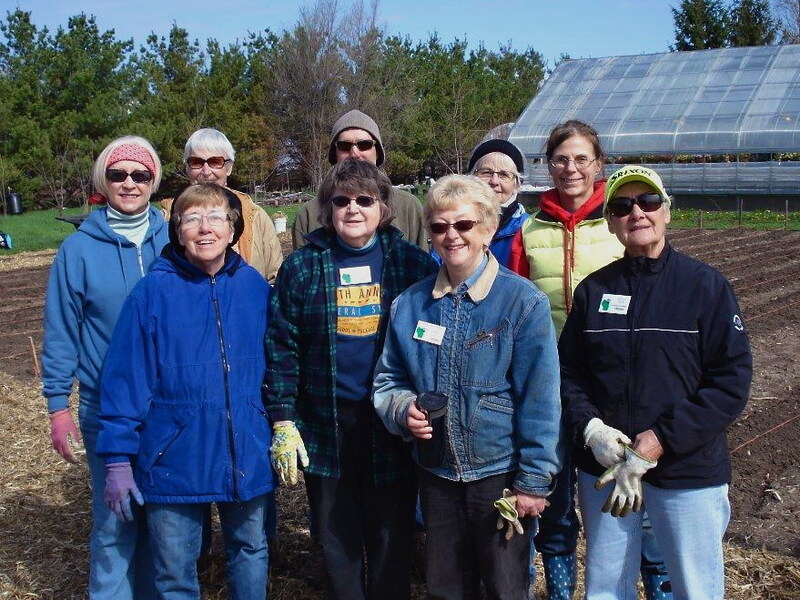 Not pictured are Barb Nelson for flower boxes at Family Resource Center in Houlton and a second grant for Play and Learn in the Park program; Katie Christenson for Ellsworth Community Garden; and Kathy Gerats for Rock Elm 4-H club in Elmwood. 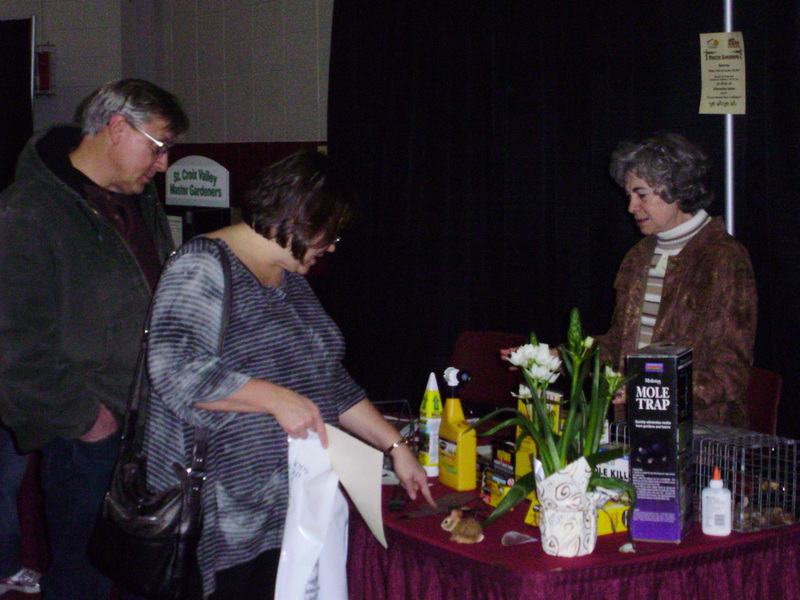 Despite March's cold and slop, the tropics bloom inside! Thank you for sharing, Barb Nelson!